December 5 is International Volunteer Day and this year’s theme is ‘Volunteers Build Resilient Communities’. Sue Vyas, Blind Foundation Volunteer Engagement Leader, says: “We would like to take this opportunity to thank each Blind Foundation volunteer for your contribution to our clients, to enable them to build resilience and live a life without limits. Here are a few stories to highlight the work of some of our volunteers. Aleister and Jill have both been Blind Foundation volunteers over three decades. Aleister has also been a member since 1979. He has assisted with street appeals and emptying collection boxes for 38 years. Currently, he helps run the monthly socials. He also volunteered to help with the extension of the old Blind Foundation building in New Plymouth in 1993 from a smaller office to the current modern hall, four offices, craft/meeting room, kitchen and toilets. Jill has volunteered on the Community Committee and helped organise appeals in Waitara and New Plymouth. She has also helped Aleister to empty collections boxes. She assisted at craft afternoons and continues to organise the afternoon tea for the monthly social. What motivates them to continue to volunteer after so many years? Their answer is simple: “We both enjoy helping our clients and seeing their confidence grow when they are adjusting to sight loss”. Thomas Kay (Tom) from Wellington– our brand new volunteer! Tom who knows Blind Foundation staff member, Mary Fisher, was very interested in learning more about the organisation. 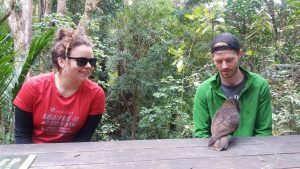 He works for the conservation charity, Forest & Bird, and is an advocate for better protection of the environment in the Greater Wellington and Hawkes Bay areas. 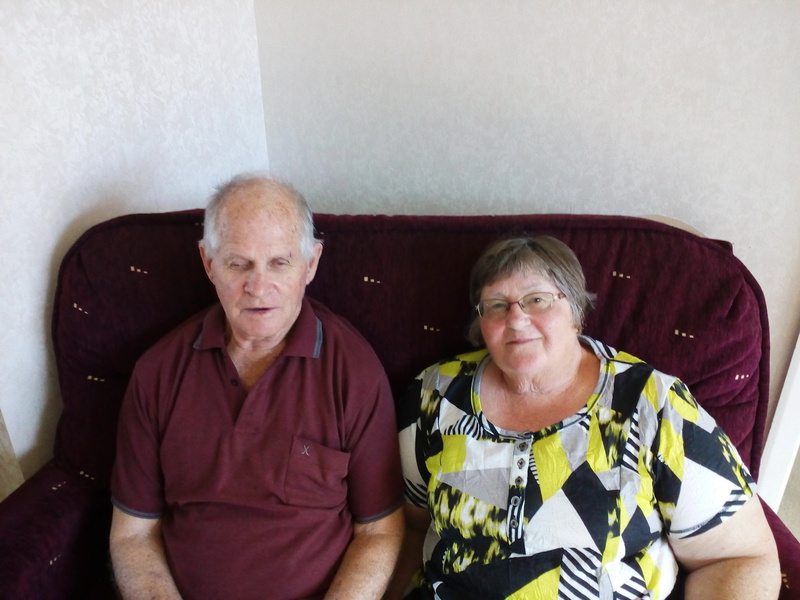 Tom was keen to be a volunteer for a Blind Foundation trip to Kāpiti Island and share some of his knowledge. “I learnt about the different ways our clients can enjoy nature – hearing the birds, feeling the trees and plants, smelling the flowers and moss; it helped me think of our forests in a completely different way”, said Tom. The group was extremely lucky to hear and see a Kokako—a native wattlebird that is extremely rare on mainland New Zealand; so that was a win-win situation for all! After one volunteer trip, Tom is ready to share more of his knowledge about New Zealand’s native species with Blind Foundation clients on future trips. Vision has always interested Barbara and she became an optometrist. When she stopped working due to family commitments, she became a Blind Foundation volunteer to continue helping people with vision loss. Barbara reminisces that 25 years ago, her first task was to visit people with talking books on tape players. 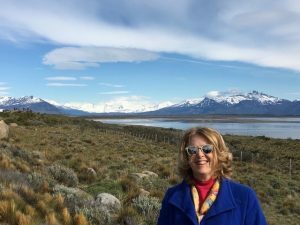 Since then she has assisted with a variety of volunteering opportunities such as driving members to the Parnell office to buy equipment, attend gym, counselling sessions and go to hospital appointments, craft groups and book groups. Barbara has helped with sorting mail, writing letters and shopping from catalogues. She has helped with taking notes at a meeting for the new web design, read for a recording for talking books and has also assisted with the New Members Group meetings. With so many volunteering opportunities in her kete, Barbara remembers one event where she had to judge cookies made for the Red Bikkie Day. She notes it was a particularly enjoyable event. Summing up her experience, Barbara says, “It has been a privilege and a pleasure to be a Blind Foundation volunteer”. Thank you Aleister, Jill, Tom, Barbara and all our other volunteers who contribute in their own way to help our clients live a life without limits. Read more about the types of volunteering opportunities we offer on our website.